Medical cloud: 2 more examples | Faction Inc. In previous articles, we’ve discussed the importance of the cloud in the health care industry for the storage and analysis of medical big data. The amount of information being generated every day in the medical sector is astounding. From radiology images and human genome sequencing to protected health information, big data is a big deal in health care – and cloud infrastructure provides the industry with a ready tool for storage and analysis. The cloud can be used to store all kinds of data, including medical images. The easiest example of this is the data being created by genome sequencing – according to research published in July 2015, between 100 million and 2 billion human genomes could be sequenced by 2025, which equates to roughly between 2 and 40 exabytes of data storage. This far exceeds YouTube’s storage needs of 1 to 2 exabytes. There are other uses for cloud storage in the medical industry, as well. 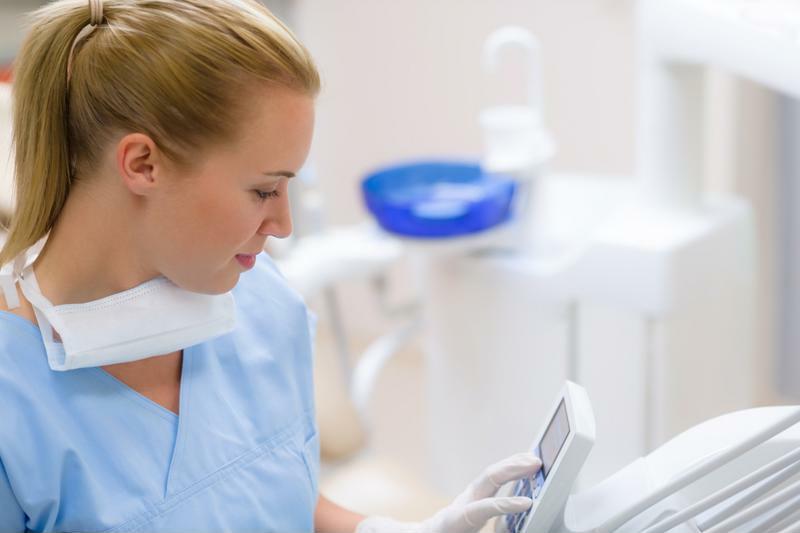 Specifically, it’s becoming more common for dental images and information to be stored in the cloud. According to Dental Economics contributor Martin Jablow, practices would benefit from investing in cloud infrastructure for sharing and storing dental images. These kinds of virtual environments provide better security, more flexibility and can offer distinct advantages in the way of business continuity. In other words, if a disaster were to occur, an organization that has a cloud backup of its data would be better positioned to get up and running again with the least amount of downtime. Modern Dental Network contributor Mike Uretz noted that the cloud helps dental offices improve workflow efficiency, among other benefits. After all, when it’s easier to store, organize and retrieve information instead of spending inordinate amounts of time doing all of those things, office employees can be more productive and spend more time on other important tasks. Another major benefit is that all the images can be stored in a standard format to support interoperability between practices. The cloud is helping dental practices share information and images. Being able to store medical images is also useful for other parts of the health care field. According to Modern Healthcare contributor Darius Tahir, the radiology industry is undergoing a transformation for the better thanks to the power of the cloud. This technology has been especially important for health care providers due to the enforcement of meaningful use guidelines, which state that electronic health records need to be used to improve patient care. By using the cloud, organizations are better able to share medical data and thus fulfill those requirements. In addition to being able to share data, health care providers find that it’s easier to keep track of the radiological images in general with the cloud. For instance, Tahir cited a survey conducted by the Office of the National Coordinator for Health Information Technology, which found that 18 percent of respondents had to carry an X-ray, MRI or test result by hand to an appointment, and 6 percent had to redo a test due to the previous results having been lost, misplaced or unavailable. While these numbers aren’t very high in the grand scheme of things, think of it this way: These are patients who may need immediate care, and if physicians don’t have all the information on hand to make decisions regarding diagnoses and prescriptions, that slows down the process of getting the best treatment possible in the shortest amount of time. These are only some of the ways the cloud is working to improve information storage and retrieval in the medical industry as a whole. Investing in cloud infrastructure is becoming a crucial part of this sector, and insofar as cloud deployments are making operations and data retrieval easier for health care organizations, they’re also helping provide better patient care in the long run.